A trio of self-proclaimed revolutionaries is vowing to bring a new kind of talk show to the airways. Sean Stone, Tyrel Ventura and Tabetha Wallace make up a new generation of co-hosts on RT America’s ‘Watching the Hawks’, a new current events show. “We sit down and really go through stories, instead of sort of that break-neck pace of the regular [news],” Wallace told RT’s Larry King for an upcoming episode of ‘Politicking’, adding that the three co-hosts focus on context and the broader pictures as much as they do on the facts of the story. 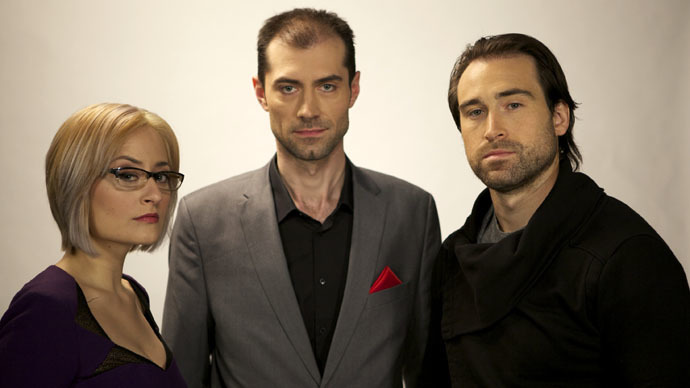 The three ‒ who founded the online news and interview show ‘Buzzsaw’ together ‒ have their own unique perspectives. Wallace brings a blue-collar perspective to the group, as the daughter of an elementary school janitor. Meanwhile, Stone is the son of Hollywood director and conspiracy theorist Oliver Stone. And Ventura's point-of-view was largely shaped by his father, Minnesota Gov. Jesse Ventura – a noted political independent and conspiracy theorist in his own right. “The idea of the ‘conspiracy theorist’ and that kind of thing has been turned into this ugly term, when in truth it’s simply just asking questions, searching for the truth and there’s nothing wrong ‒ my dad inspired the hell out of me,” Ventura said. 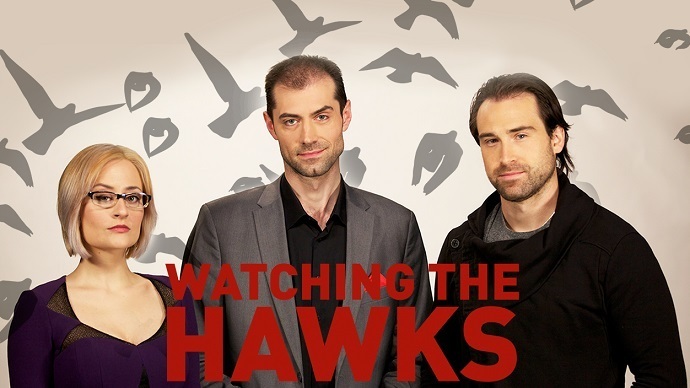 ‘Watching the Hawks’ isn’t just about cynicism towards political warhawks, however. It’s about providing an outsider’s view towards anyone hawking their wares to the younger generation. Post by Watching The Hawks. Stone believes ‘Watching the Hawks’ provides millennials with a unique perspective on the news – one that’s geared towards them. ‘Watching the Hawks’ asks its viewers to come to their own conclusions on the current events of the day. It premieres Monday, March 23 at 6 p.m. ET on RT America. The half-hour show airs Mondays through Thursdays in that time slot. Follow the show on Facebook and on Twitter.